What's the difference between a heavy duty can opener and a standard duty can opener? Both heavy and standard duty can openers can open the same types of cans, and operate in a similar manner. A standard duty can opener is a bit smaller, with a shorter handle that may require more turns to open the same can. 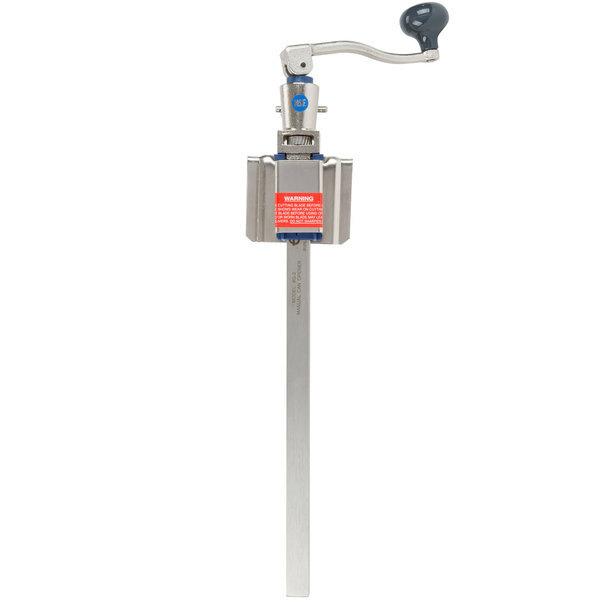 A heavy duty can opener is larger and features a more heavy-duty construction. As a result, it's capable of opening more cans per day. If you'd like more information about how to choose the right one for your needs, check out our can opener buying guide! As the country's oldest and most reliable maker of commercial can openers, Edlund is an industry icon. 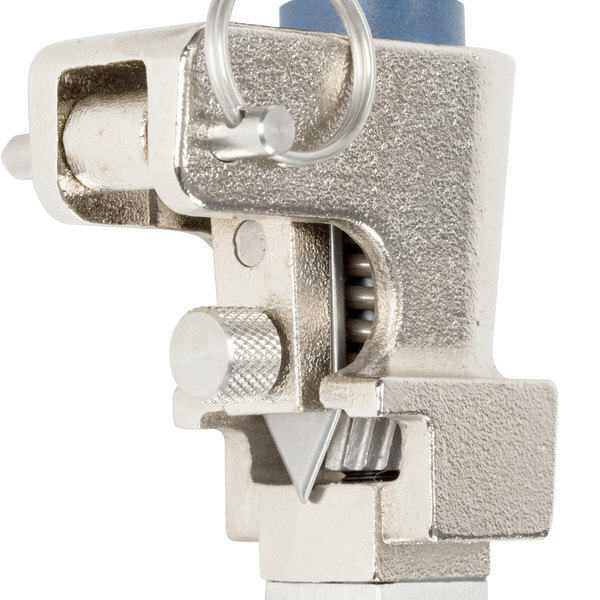 Slice through your light-volume can opening jobs quickly with the Edlund G-2 manual commercial can opener. Designed for light-duty, day-to-day use, the Edlund G-2 is similar to a standard duty manual can opener, but has an easy, take-apart design. The standard duty can opener is a convenient and easy way to open all sizes of cans including #10 cans. Standard duty can openers are a great choice for your kitchen if you need to open less than 15 cans per day. The can opener's gears and knives can be removed for easy cleanup and replacement, and its new melonite arbor resists rust for extra durability. A plated, screw down base is included. 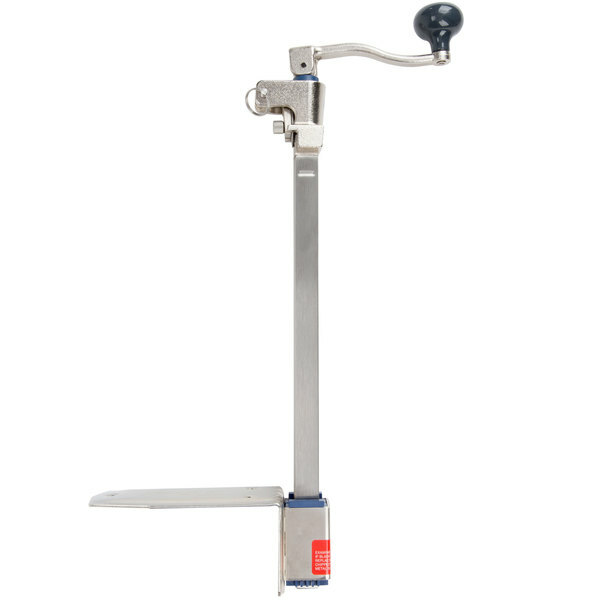 The Edlund Manual Commerical Can Opener with 16" bar and base is lightweight but durable. Installation was easy and opens cans perfectly. Happy with this purchase. This item is very light yet feels sturdy and easily handles the #10 cans. It is very easy to install and also very easy to clean. 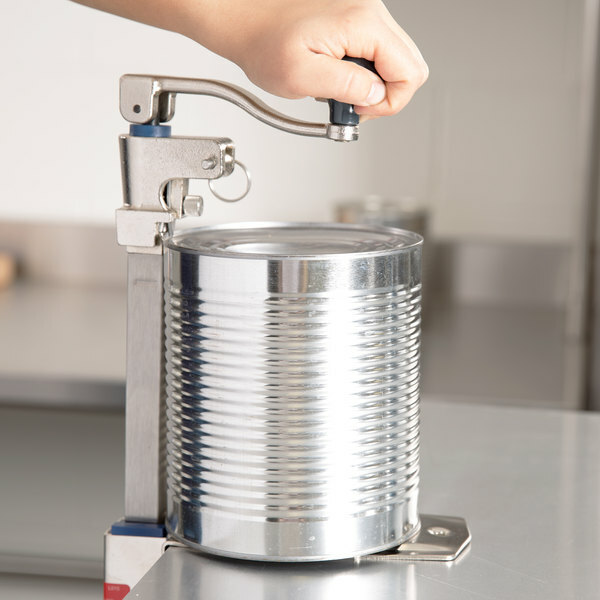 Once the can is in place, you can turn the handle very easily and smoothly. What a great product for its price. Very good product which saves time and is easy to clean. Installation is easy and the opener holds up well under daily restaurant kitchen use.